ASSHOLES WATCHING MOVIESFather-Daughter Relationships in OUTER SPACE! Father-Daughter Relationships in OUTER SPACE! Two weeks ago, it was cop week, and we talked about our favouritest police movies through the ages, and I talked about the surprising number of cop movies I came across that took place in – well, not space, but the future, which is practically the same thing. I wouldn’t have guessed that, exploring movies featuring father-daughter relationships, I would come across as many, if not more, that take place in space (not even just the future, but honest to god outer space!). Deep Impact – The lesser-known of the two asteroids-are-going-to-kill-us movies released in the late 90s. Morgan Freeman plays the president, telling his people that a comet is probably going to kill them all, but they’re doing their darndest to prevent it, fingers crossed! The movie follows a few different story lines, but for the purpose of our theme, I’m focused on the reporter played by Tea Leoni, and her father, newly married to a woman just two years her senior. It’s clear this relationship has been strained at best for years. She’s closer to her mother, but with the asteroid bearing down on them, her mother takes a bunch of pills and bows out. Tea Leoni shares that she “feels like an orphan” – with her father. To his face. But he comes back at her with photos of their happier times and though she’s too angry with him to admit it, they do awaken memories for her. So she gives up her seat to safety and instead meets the end of the world with her father, his arms clutched tightly around her as the big wave hits. Her last word, “Daddy.” This movie made me wonder about death and regret. Did her mother’s death make her crave reconciliation with her father? Or was it staring her own death in the face that gave her the courage to forgive? 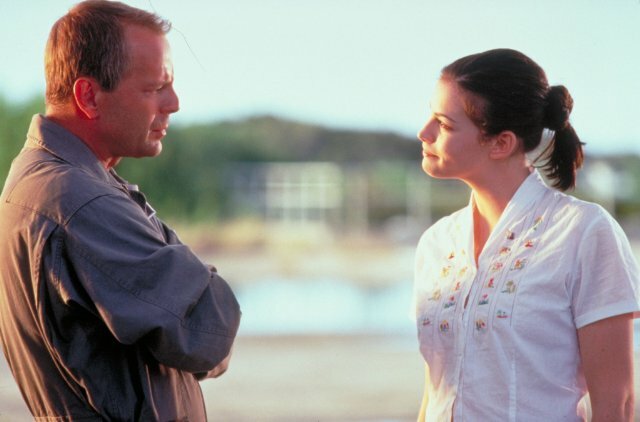 Armageddon – Harry (Bruce Willis) and Grace (Liv Tyler) Stamper have a weird relationship. She’s grown up under his watchful and protective eye on an oil tanker surrounded by dirty men. Harry is struggling to think of his baby girl as a woman though it’s clear she’s been the more mature of the two for years. Though they don’t always see eye to eye (particularly when it comes to her boyfriend AJ – he takes a ‘no one’s good enough for my daughter’ attitude, and backs it up with a shotgun), he’s all she has and he promises to come back safely. Cue the blubbering when he inevitably does not come back – sacrifices himself, in fact, so that her boyfriend may live, and go on to marry his beloved daughter. Bruce used pictures of his own daughters to provoke the necessary emotions during their tearful goodbye scene, and of course Liv’s real-life dad Steven is crooning away on the soundtrack – no dry eye left behind. 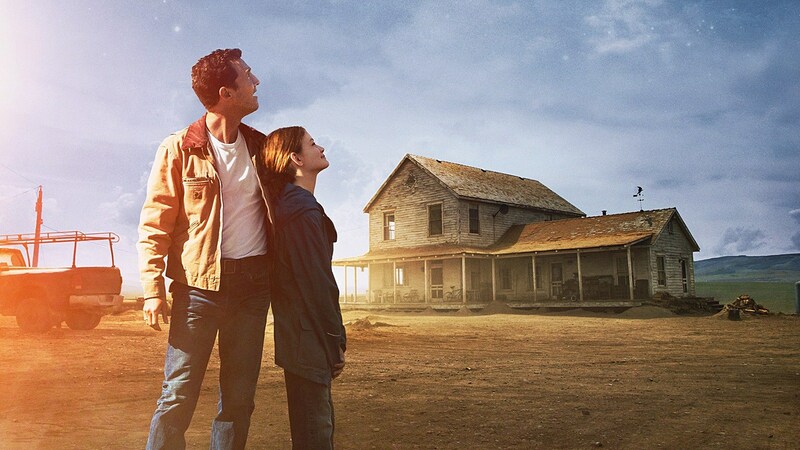 Interstellar – This movie gives us a two for one deal in terms of fathers and daughters. First off, Cooper (Matthew McConaughey) decides to take on a multi-year mission to outer space to save the world, but try explaining that to his 10 year old daughter Murph, who can only hear goodbye. Because of the weird passage of time in space, she’ll be a grown woman when he comes back – if he comes back at all. Meanwhile, NASA director Brand (Michael Caine) is also sending his own daughter Amelia (Anne hathaway) on the mission. It goes wrong pretty much right out of the gate; 3 hours on a planet’s surface costs 21 years on Earth, which means her aged father is now dead, and Murph is now a grown woman (Jessica Chastain), and the heir-apparent at NASA. They discover that Caine never thought these missions would succeed – he was only trying to perpetuate mankind by sending embryos out into space. But as “luck” would have it, Cooper gets to sacrifice himself in order to save Ann Hathaway, but instead of dying he finds himself in 5-dimensional space, which allows him to use gravity to communicate with his 10 year old daughter. He sends a message that his future grown daughter Jessica Chastain will use to make the mission succeed after all. Thrown back through the manhole, he wakes up on the humanity-saving space station made possible by his daughter, a hundred year old woman who has lived just long enough to say goodbye to her dad, who hasn’t aged a day. This entry was posted in Jay and tagged father daughter movies, movies about space on April 27, 2015 by Jay. Even Michael Bay thinks this is his worst movie, and that’s saying something! I haven’t seen either in at least a decade but I’ve always maintained that Deep Impact is better than Armageddon. I liked this post a lot and am looking forward to Workplace Movies in Space next week. Hey I was just thinking about father/daughter movies for this Thursday’s blogathon topic. Love that you chose the space setting specifically and I’d agree w/ all three! 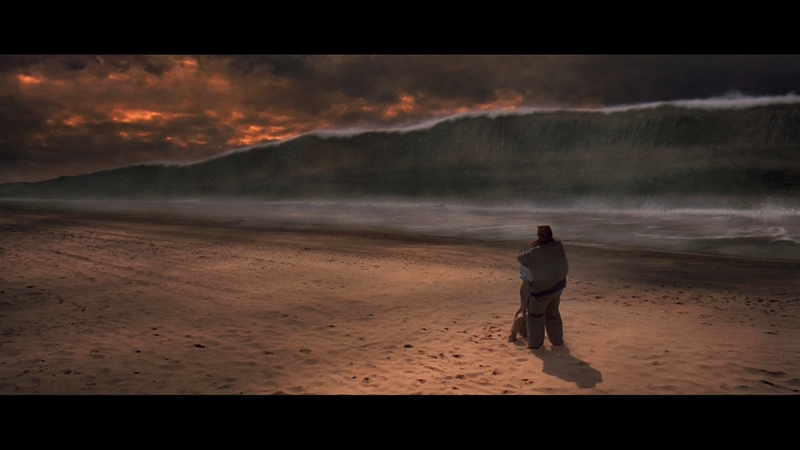 The scene in Deep Impact of Tea Leoni & his dad made me cry. Armageddon is one of those films that I shamelessly love despite it being completely ridiculous, and part of the reason is that the father/daughter story is so strongly worked in…it works. I haven’t seen any of these in a long time, heh this post makes me realise why! Armageddon is one dumb movie, though it was obvious from the very beginning that it was going to be ridiculous so it was easy to settle in and enjoy the ride. It also helped that I saw it at the Uptown theatre in DC with its enormous screen so you could just be overwhelmed by the effects, which of course was the whole point of the film. Deep Impact was silly fun too but there is NO WAY that a pairing of Vanessa Redgrave and Maximilian Schell could result in Tea Leoni for a daughter. However my favorite, and by that I mean the most absurd, part of the film was when Elijah Wood and his fellow refugees outran the tidal wave! I haven’t seen Interstellar yet.